Democratic Florida gubernatorial candidate Andrew Gillum gained on his GOP opponent after the machine recount was completed on Thursday. But the net change may make him question whether he should have withdrawn his concession. The final tally of 4,075,445 for DeSantis and 4,041,762 for Gillum represented exactly one additional net vote for the Democratic Tallahassee mayor over the unofficial pre-recount results. 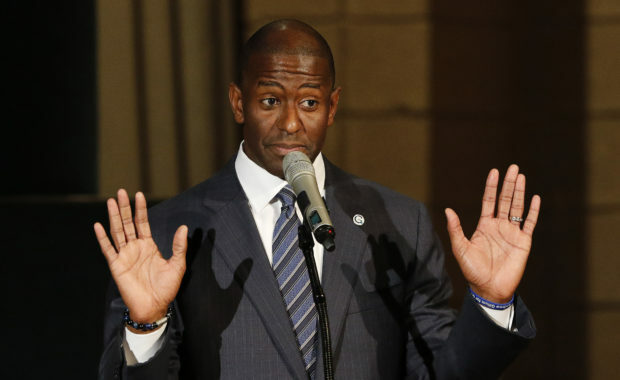 The resulting 0.41 percent margin is well outside the 0.25 percent needed for a manual recount, according to the Sun-Sentinel, yet Gillum so far has refused to concede. Gillum literally picked up ONE (yes, you read that right) vote in the re-count. The difference between Republican Governor Rick Scott and Senator Bill Nelson also grew, widening Scott’s lead, after the machine recount by almost 1,000 votes, The Daily Caller reported earlier Thursday. The two are still only separated by about 12,000 votes, however, a spread small enough to trigger a manual recount.